Blended with delicious hints of basil, parsley, oregano, rosemary, thyme, and garlic. 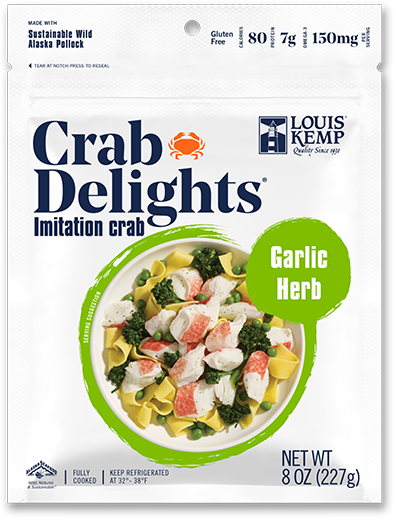 Crab Delights® Garlic Herb flavor offers a savory addition to any of your favorite recipes. We’ve added this popular flavor combination to provide you with easier options for healthy seafood meals. Available in 8-ounce packages. 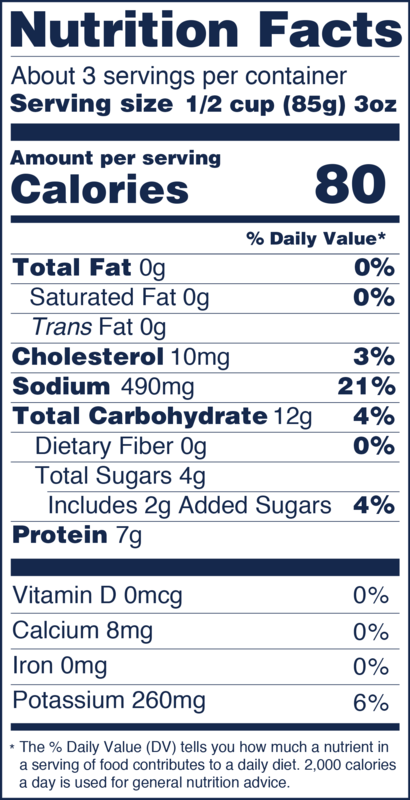 INGREDIENTS: Alaska Pollock, water, potato starch, sugar, contains 2% or less of: snow crab meat, mirin wine (sake, sugar, salt, water, yeast extract) natural and artificial crab flavoring (snow crab extract, swimming crab extract, maltodextrin, disodium isonate, disodium guanylate), salt, potassium chloride, sorbitol, pollock oil, sodium tripolyphosphate, tetrasodium pyrophosphate, natural garlic herb flavor, paprika oleoresin, lycopene (color).